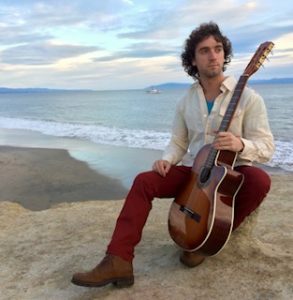 Mikey is a Fingerstyle Guitar Player based out of Santa Cruz California. Playing bass and melody lines simultaneously, he covers an impressive span of genres, performing original and popular songs alike. He has been compared to the likes of Tommy Emmanuel, Charlie Hunter, and Chet Atkins. Catch him this summer as he takes his craft up and down the Pacific Coast.